I'd like to let you know about the fabulous Kizuna Exhibition appearing at Hanasho, West End for this week only. The exhibition has been organised by Eba - owner of Hanasho, to raise much needed funds for children effected by the horrendous earthquake in Japan earlier this year. 100% of the sales will go to Ashinaga. Ashinaga are constructing the Tohoku Rainbow House to provide emotional and educational support for orphans in the area. There are some brilliant artworks which have been donated by more than 30 artists, including a typographic one from yours truly. It would be great if you get along to have a look and perhaps pick yourself up a beautiful new artwork that keeps on giving. 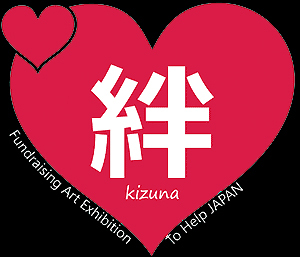 For more details, please see the KIZUNA website.